Connecting with art doesn’t take any special expertise. You just need to look—really look. This is the premise of Slow Art Day this Saturday, April 12, an annual event to connect with yourself and others through art. 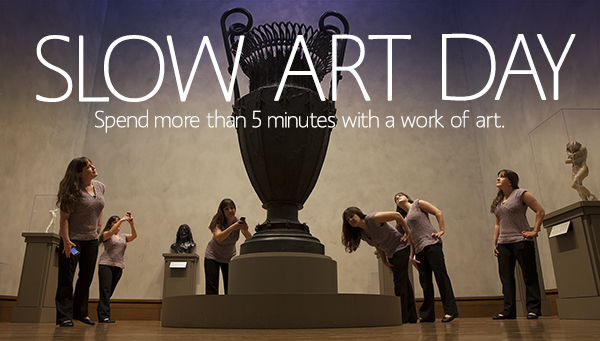 The assignment is simple: sign up to visit a museum or gallery near you, spend 5 to 10 minutes looking at 5 different objects, then share what happened over lunch. Five minutes doesn’t sound like much, but it’s a lot longer than most of us ever spend with a single painting or sculpture, discovering what it has to say. In honor of Slow Art Day, here’s a sampling of art worth spending five minutes with, as suggested by Getty curators and educators. 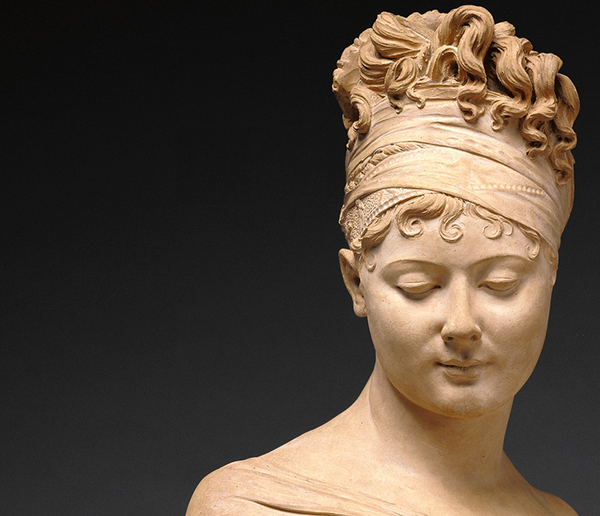 Spend five minutes with this sarcophagus and you’ll witness a whole night—and a passionate one at that. Selene (goddess of the moon) had fallen in love with the mortal Endymion, who had been granted eternal sleep and thus everlasting youth. 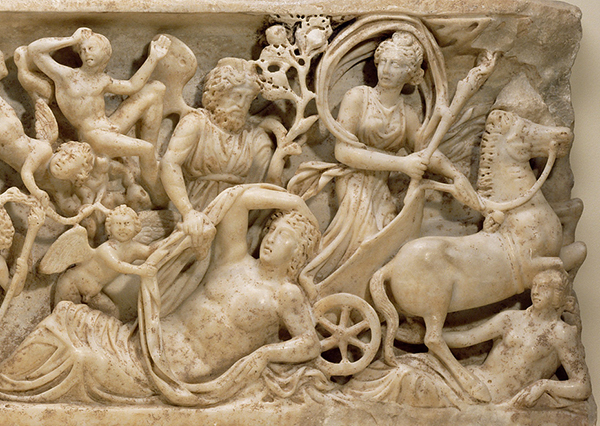 Every night Selene could visit her beloved, and you can see her at the center of this sarcophagus as darkness falls, stepping off from her chariot. But as you look to the right, beyond the slumbering Endymion, the next day begins to dawn (too soon! ), and the horses must rush the goddess of the moon away…until the next evening’s amorous encounter. 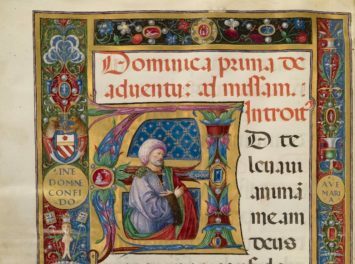 Spend five minutes with the Italian choir book featured in the exhibition Heaven and Earth: Byzantine Illumination at the Cultural Crossroads. 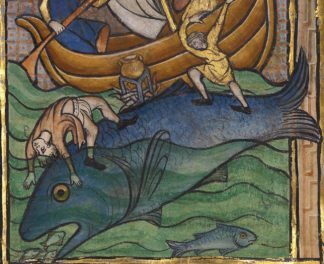 It is one of the largest manuscripts in the Museum’s collection, but the intricacy of its pages is what I find compelling. 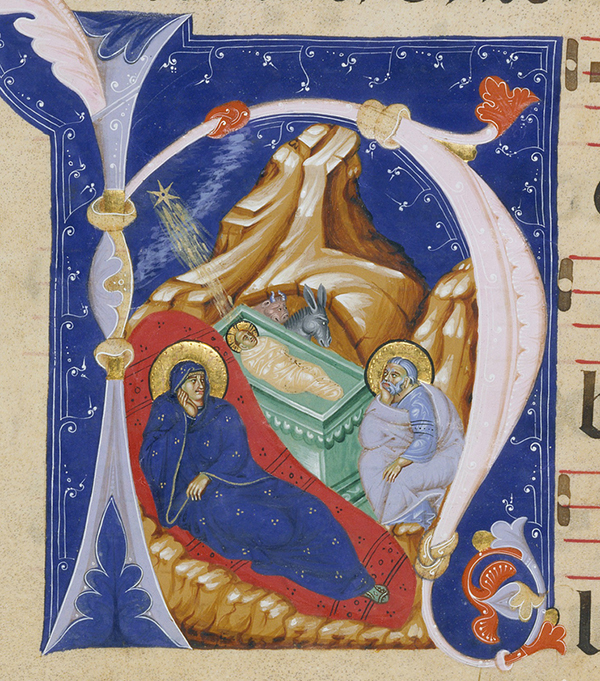 The Latin words, the musical notation, the form of the letter “h” that encloses the scene of the Nativity, the monumental form of the Virgin, and the humble ox and donkey peeking over the edge of the manger at the Christ Child—all combine to remind me of why I love manuscripts. Spend five minutes with Charles Samuel Keene’s Self-Portrait, included in the drawings exhibition Hatched! Creating Form with Line. 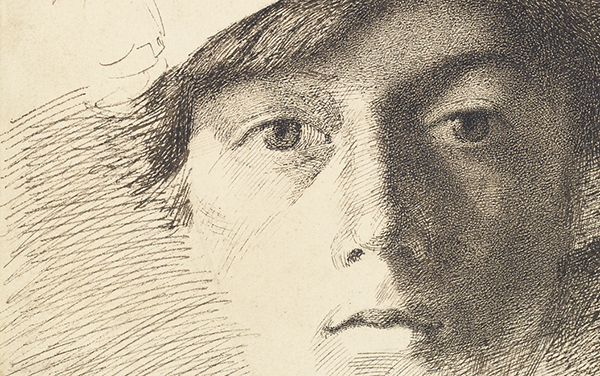 Use one of the provided magnifying glasses to study the incredible mesh of lines with which Keene studied the light on his own features, drawn when he was only about 20. Spend time and get to know him! Spend five minutes with this nine-foot-tall vase. Look for the army of snails with their little horns, all different one from another, featured with such naturalism at the very bottom: it appears they are climbing in slow motion, inching along to the top. And so should you, with your eyes. 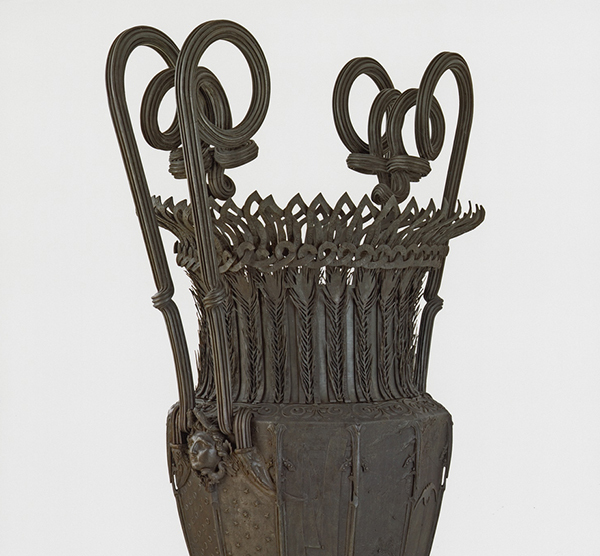 Look in a spiral and move around, up, and down to jump into a fantastic symbolist universe where you’ll discover a spider, a strange batman, lace, ribbons, the signature of the artist, the date of the piece, and the foundry mark of the Brussels foundry. Only a slow viewing allows you to appreciate the incredible twisting of the handles or the details of the peacock feathers at the very top. 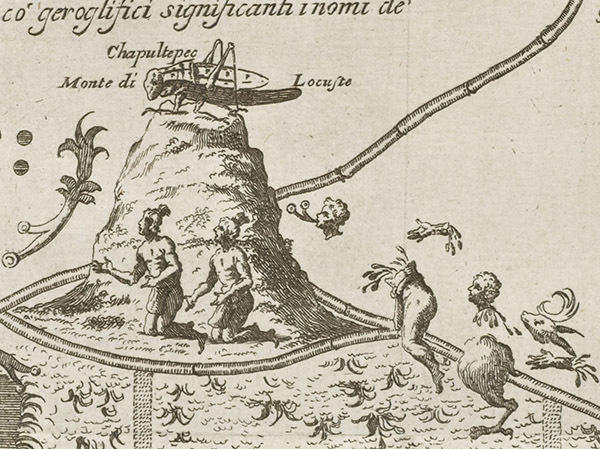 Aztec Pilgrimage Map (detail), 1700, Giovanni Francesco Gemelli Careri. Getty Research Institute. I have to recommend the Gemelli Careri map showing the Aztec migration from Aztlan as seen in Connecting Seas. People should look at it closely, follow the road they took over 1000 years ago, and try to decipher the place names along the way (of course you need to know Nahuatl for that). What artwork would you spend five minutes with? There are so many different genres of Art, it is difficult for me to limit myself. Off the top of my head, I would have to say works by Gustav Klimt and Maxfield Parrish would certainly hold my attention for a very long time. Great suggestions! 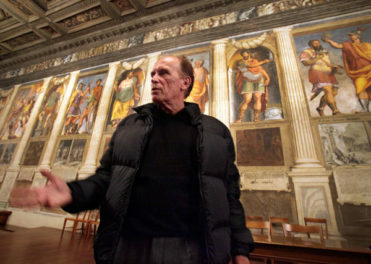 I would love to spend more than five minutes with Werner Herzog’s Hearsay of the Soul and Edvard Munch’s Starry Night. I would spend 5 minutes or more with the Jackson Pollock painting on display at the Getty this month. In fact, I’m coming next week to spend minutes looking at it! I’d spend more than five minutes with the bronze and copper vase. What a beauty. I loved our visit to The Getty earlier this year, and the visit we made in 2012. I can’t wait to get back to it. Thank you for making this such a marvelous website.